An Ince polynomial  of order and degree is a solution of the periodic linear second-order differential equation . Ince polynomials are divided into two families and . 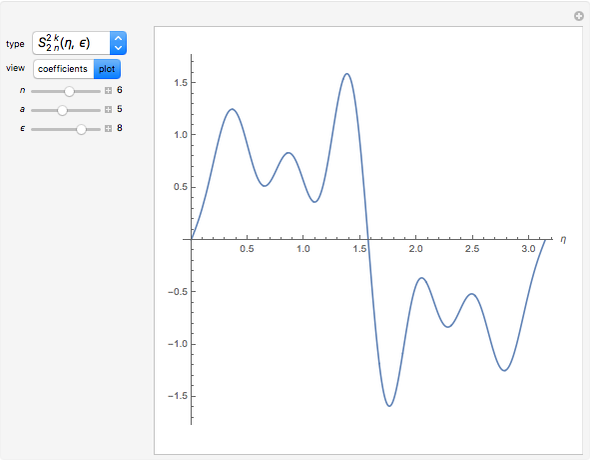 You can select either an analytic form or a plot of the function. 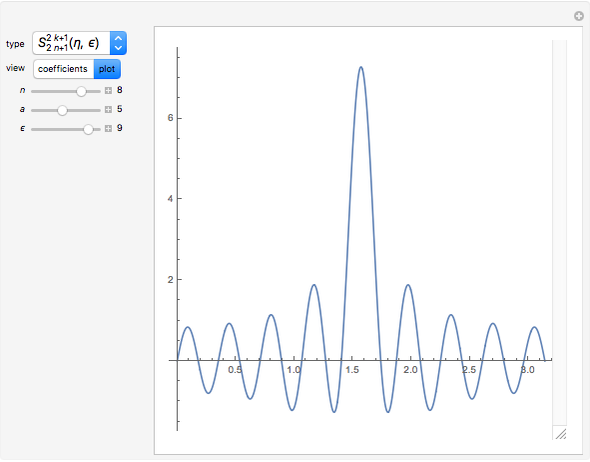 Ince polynomials can also be represented by trigonometric series. These functions are of importance in applications including beam optics. The recurrence relations for the solutions were taken from . 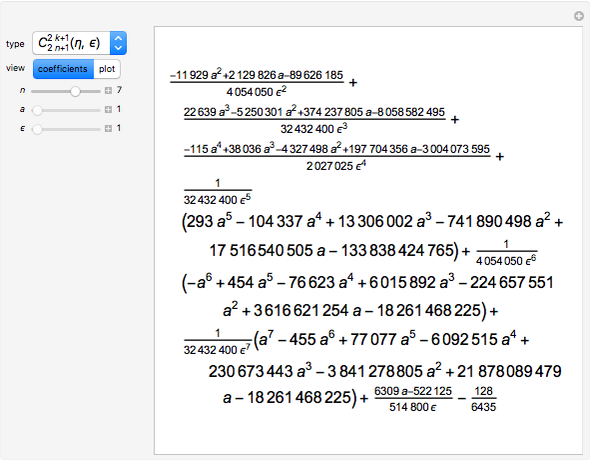 "Mathieu Functions and Hill's Equation." NIST Digital Library of Mathematical Functions. (Apr 4, 2014) dlmf.nist.gov/28.31. M. A. Bandres and J. C. Gutiérrez-Vega, "Ince–Gaussian Modes of the Paraxial Wave Equation and Stable Resonators," Journal of the Optical Society of America A—Optics, Image Science, and Vision, 21(5), 2004 pp. 873–880. doi:10.1364/JOSAA.21.000873.